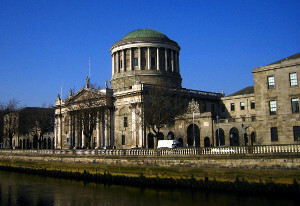 A co-parenting father-of-three who was assessed by Dublin City Council as a single person household needing a one-bedroom unit has had his application for judicial review dismissed in the High Court. In its decision-making process the Council considered, inter alia, the “under-utilisation of its housing resources” if bedrooms were allocated to the man’s children in separate dwellings. Finding no legal deficiency in the Council’s decision or decision-making, Mr Justice Max Barrett said that he was coerced as a matter of law to decline all reliefs sought. Mr Darren Fagan and his ex-partner have three children. They have a co-parenting agreement which takes the form of Mr Fagan enjoying overnight access to his children during the week. Dublin City Council was aware of the former couple’s co-parenting agreement prior to Mr Fagan’s application for social housing in September 2017. However, pursuant to s.20(1)(c) of the Housing (Miscellaneous Provisions) Act 2009, as amended, the Council identified Mr Fagan’s household to comprise a single person and determined his housing need was for a 1-bedroom unit. s.20(1)(c) of the Housing (Miscellaneous Provisions) Act 2009 provides that such a household comprises “2 or more persons who do not live together but who, in the opinion of the housing authority concerned, have a reasonable requirement to live together”. Mr Fagan’s application to the High Court centred on the meaning of s.20(1)(c). Mr Fagan contended that no proper or adequate assessment of him and his children ever took place under s.20 of the Housing (Miscellaneous Provisions) Act 2009, and that what took place was “a fettering of discretion by the Council”. In considering the phrase “have a reasonable requirement to live together”, Mr Justice Barrett said that some of the reasoning of the House of Lords in Holmes-Moorhouse v. Richmond upon Thames Borough Council  3 All ER 277 was useful. Stating that the phrase appealed to “an objective social norm” which must be applied in the context of a scheme for allocating scarce resources, and that the legislation had to be interpreted with regard to its social purposes, recognising the claims of others, and considering the “nature and scale of local authorities’ responsibilities”. the nature and scale of the Council’s responsibilities. The needs of others, including children, on its housing lists for multi-bedroom accommodation. Mr Justice Barrett considered the Council’s approach to its decision-making to be “the practical, proper and lawful implementation” of the considerations at play (in particular, point (2) of the considerations outlined above). Mr Justice Barrett also noted that it was important to remember that under s.20(1)(c), it was the “opinion of the housing authority” that was determinative, and that while “others may reasonably hold a different opinion to the Council, and doubtless sometimes do…so long as the Council’s opinion is lawfully reached and held, the opinion of those others, even of this Court, does not matter in law”. Finding “no legal deficiency” in the Council’s decision or decision-making when it came to Mr Fagan’s application for social housing, Mr Justice Barrett said that the court was “…coerced as a matter of law respectfully to decline all of the reliefs sought of it at this time by Mr Fagan”.